The Quilt Alliance contest turns eleven this year and the 2017 theme, “Voices,” hints at the diversity and the history of the yearly challenge. 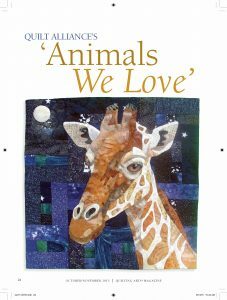 Each year since 2007, we have asked artists to create a quilt that speaks to an open-ended theme, adaptable to any quilt medium. We encourage everyone who makes quilts to enter our annual contest regardless of their style (traditional, modern, art) or technique (longarm, hand quilting, applique, pieced…) –all are welcomed and valued! The first QA contest was launched in 2007 with several goals in mind. One goal was to raise funds to support the Alliance’s move from Louisville, Kentucky to our present home in Asheville, North Carolina. We also wanted to establish this fundraiser as an annual initiative to provide ongoing operating support. 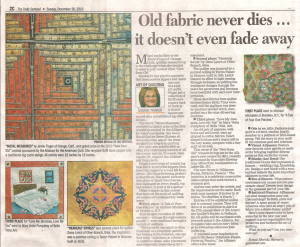 Another aim was to document the work of our members by taking a “snapshot” of quilts made in a particular year. 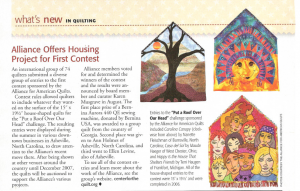 QA board members Karen Musgrave and the late Yvonne Porcella set out to make the contest friendly to all quilters, whether they identified as longarmers, hand quilters, modern quilters… or simply artists. 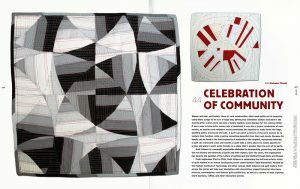 With this in mind, they crafted an open-ended theme that anyone could speak to, and that tradition has continued. There are two weeks left to enter the 2017 contest–we extended our postmark deadline to July 3, 2017. 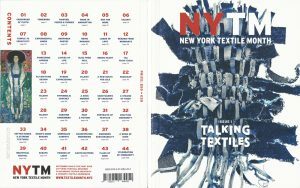 Find full details and online registration for the “Voices” contest on the Voices contest webpage..
Talking Textiles, Issue #1, September 2016. 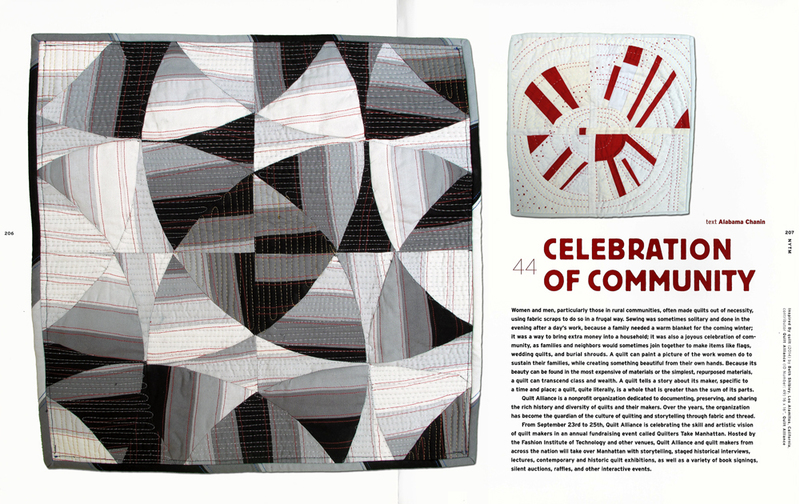 Please note the omission of credit in this piece for the quilt on the left side of the page: Luke Hayne’s quilt, “[Gifts #22] Like Michael James “. 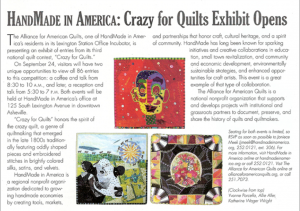 Quilting Arts Magazine, Nov/Dec 2015. 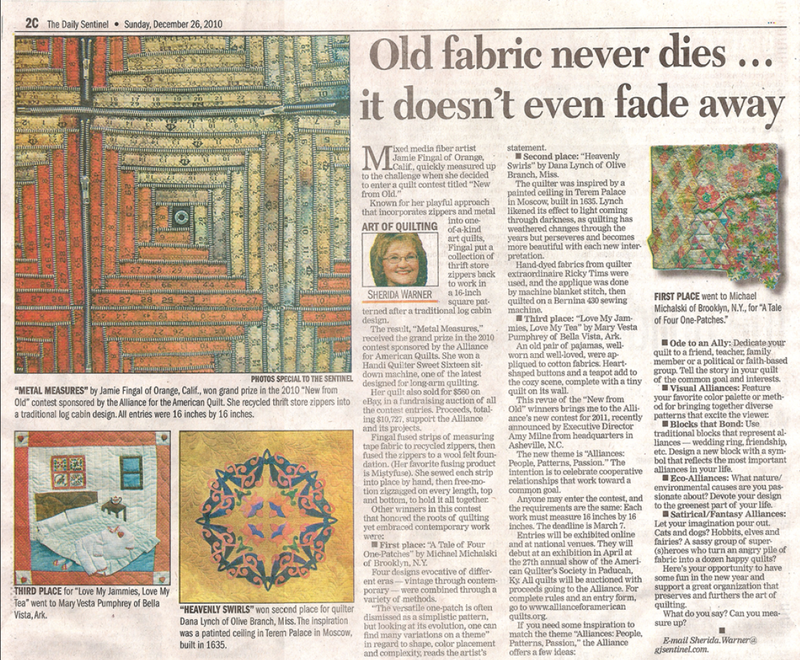 The Daily Sentinel, Grand Junction, Colorado. Sunday, December 26, 2010. The Laurel of Asheville. September 2009. Quilters Newsletter Magazine. Nov/Dec 2006.